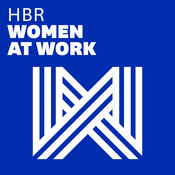 Amy Gallo is a contributing editor for HBR, an expert on conflict and difficult conversations, a prolific giver of advice — and now she takes up the baton of co-hosting the show from Sarah Green Carmichael. Our theme music is Matt Hill’s “City In Motion,” provided by Audio Network. In this special live episode, we share stories, research, and practical advice for strategic self-disclosure, and then take questions from the audience. Guest: Katherine Phillips. Our theme music is Matt Hill’s “City In Motion,” provided by Audio Network. Lyt til Women at Work - Harvard Business Review, Tipsy Sessions og mange andre stationer fra hele verden med app'en radio.dk.